HAIR AND SHOES: My hair is the Loose Bun style, one of five styles available on the Marketplace for free by the talented Lilli Thompson. 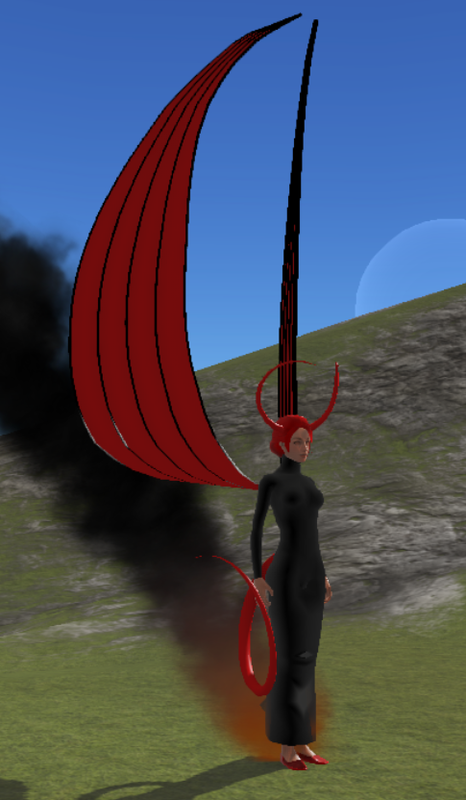 They are tintable and I coloured this hair FF0000 (hexadecimal for red). 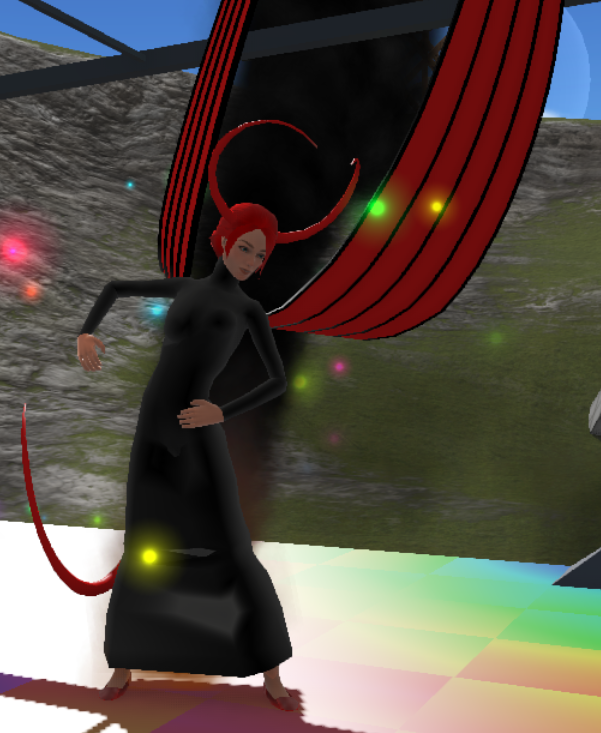 The ballet shoes are part of the basic outfit available to all female avatars, and I tinted them red as well. GOWN: The long black granny dress is my own creation, made from the female body mesh available via the Avatar Development Kit. I edited the mesh extensively in Maya 2012, removing the hands and feet, and using the Merge command multiple times to stitch together vertices in the two legs into one long skirt. It is not up in the marketplace yet, but I will be posting it for free later this weekend (it is not perfect, there are a few bumps here and there, but good enough for a costume). 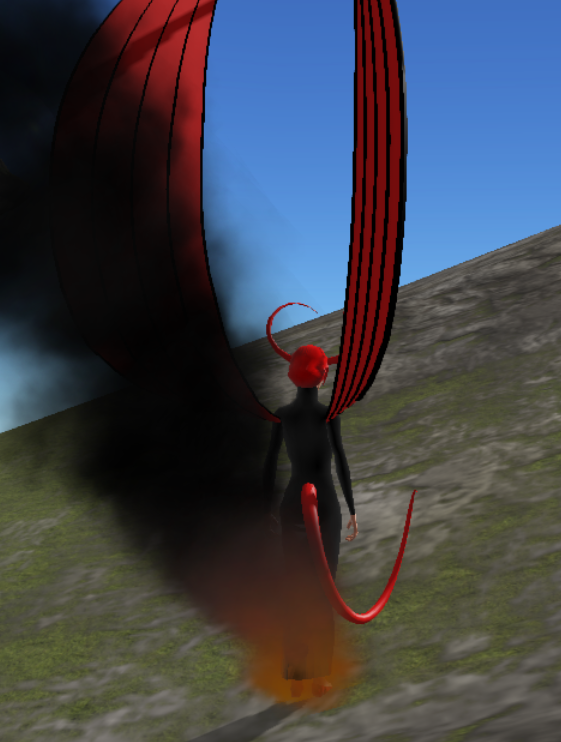 ACCESSORIES: The horns, magnificent wings, and tail by Mykael are part of his male and female demon outfits, also free on the Marketplace, and all are modifiable. I decided to modify my horns by adding the flames-and-smoke particles available for free on the Marketplace, part of a set of sample particles made available by Cloud Party.